Scientists report that the most common Parkinson's gene mutation may change how immune cells react to generic infections like colds, which in turn trigger the inflammatory reaction in the brain that causes Parkinson's. Their study (“Mutant LRRK2 Mediates Peripheral and Central Immune Responses Leading to Neurodegeneration In Vivo”), published in Brain, contradicts the long-held view that Parkinson's was a disease that starts in the brain, destroying motion centers and resulting in the tremors and loss of movement. “Missense mutations in the leucine rich repeat kinase 2 (LRRK2) gene result in late-onset Parkinson’s disease. The incomplete penetrance of LRRK2 mutations in humans and LRRK2 murine models of Parkinson’s disease suggests that the disease may result from a complex interplay of genetic predispositions and persistent exogenous insults. Since neuroinflammation is commonly associated with the pathogenesis of Parkinson’s disease, we examine a potential role of mutant LRRK2 in regulation of the immune response and inflammatory signaling in vivo. Here, we show that mice overexpressing human pathogenic LRRK2 mutations, but not wild-type mice or mice overexpressing human wild-type LRRK2 exhibit long-term lipopolysaccharide-induced nigral neuronal loss. This neurodegeneration is accompanied by an exacerbated neuroinflammation in the brain,” write the investigators. Together with senior author Smeyne, first author Elena Kozina, Ph.D., looked at the mutant version of the LRRK2 gene. Mutations in the LRRK2 gene are the most common cause of inherited Parkinson's disease and are found in 40% of people of North African Arab descent and 18% of people of Ashkenazi Jewish descent with Parkinson's. However, there's been controversy around the exact function of the LRRK2 gene in the brain. Based on his earlier work showing that the flu might increase risk of Parkinson's disease, Dr. Smeyne decided to investigate whether that second hit came from an infection. Suspecting that the LRRK2 mutations might be acting outside of the brain, the researchers used the outer shell of bacteria (lippopolysaccharide, or LPS) that causes an immune reaction. LPS itself does not pass into the brain, nor do the immune cells it activates, which made it ideal for testing whether this second hit was acting directly in the brain. When the researchers gave the bacterial fragments to the mice carrying the two most common LRRK2 gene mutations, the immune reaction became a cytokine storm, with inflammatory mediators rising to levels that three to five times higher than a normal reaction to LPS. These inflammatory mediators were produced by T and B immune cells expressing the LRRK2 mutation. 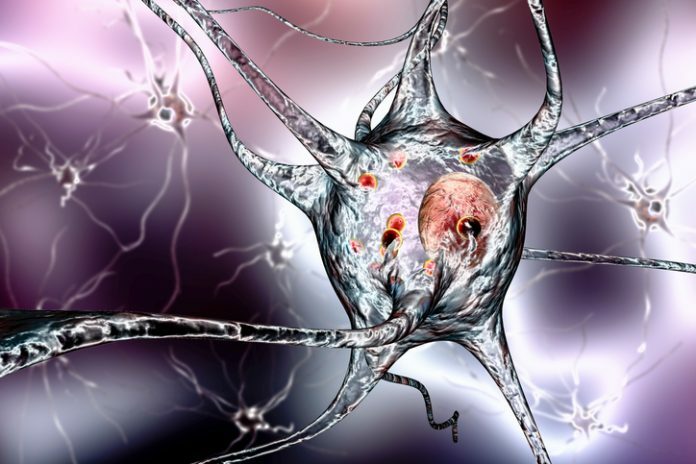 Despite the fact that LPS did not cross the blood–brain barrier, the researchers showed that the elevated cytokines were able to enter the brain, creating an environment that caused the microglia to activate pathologically and destroy the brain region involved in movement.